On the 30th of July this strong, close knit family were ripped apart by a tragic road traffic accident that saw Loanna, Brad and Keira airlifted to hospital with serious injuries, sadly on the 1st of August little Keira was just too poorly and was taken by angels to become one. Loanna and Brad are still undergoing major operations and are expected to be in hospital for a few weeks yet. 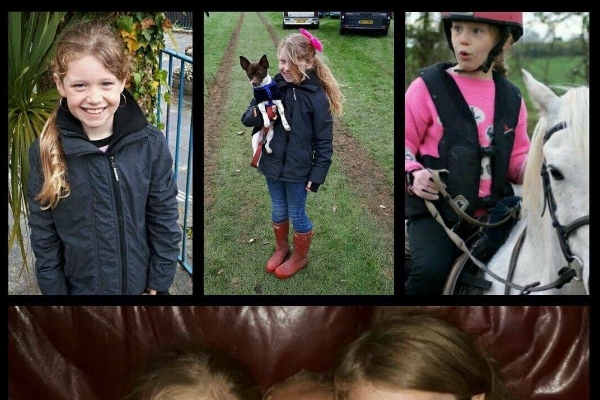 This family will never be the same again and we would like to raise money to help them rebuild some kind of life after losing Keira , Joe will be off work for a very long time taking care of the family and supporting them through this awful time and beyond. We would love it if we could help them, find a new house to make new memories and rebuild their family. So we have set a target of £5000 which would help to pay a deposit on a rented house, and give them some healing time without the worry of having to rush back to work. Give the family time to heal and recover. Today we held an auction of some amazing lots donated by local business, friends and family. We had an incredible day and raise just over £3,000 which with the pho funding page makes it just under £18,000 in total, cannot thank everyone enough for being so generous even when times have been hard for people who have donated they have given to help Loanna, Joe and the children. What can we say!!! WOW! Thank you to everyone who has donated, companies and local clubs that have made some wonderful donations, friends from far afield that haven't even met the Ball family, are all pulling together and donating, we have been approached by South Molton Pannier Market who will be holding a fundraising event very soon, to raise money as Joe, Loanna and children live in this close knit community. We are shocked and thankful for everyone's donations, I have asked the family if I can increase the target as I have had so many messages asking to donate in a few days or weeks so I am leaving this open so people can donate as and when they feel they want to.